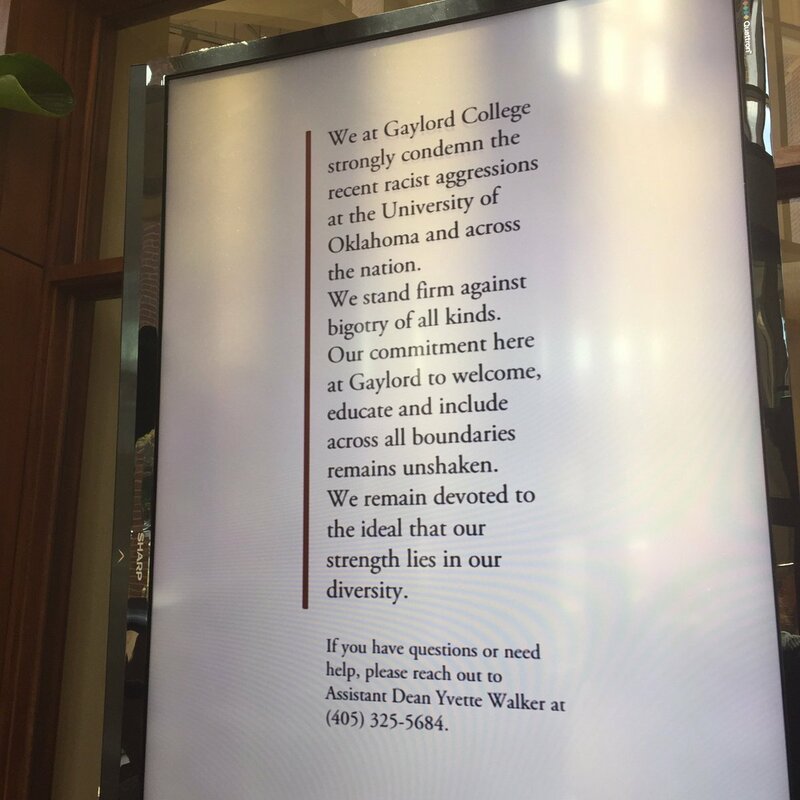 “We at Gaylord College strongly condemn the recent racist aggressions at the University of Oklahoma. We stand firm against bigotry of all kinds. Our commitment here at Gaylord to welcome, educate and include across all boundaries remains unshaken. We remain devoted to the ideal that our strength lies in our diversity.